AKARA is a 4 piece Japanese rock band consisting of Koto, Shinobue/Nohkan, Tsudumi, and a Vocalist. The band was formed by MIKIKO, who graduated from UCLA as a multi-ligual singer. The band name AKARA comes from the fact that the Japanese alphabet starts from the alphabet “A” and KARA which means “beginning from”. The meaning of the band name “starting from a” also means to be the new generation of music. The members who play the traditional instruments not only perform for AKARA, they also are involved in various traditional music performances. The songs performed by AKARA are heavy and yet beautiful at the same time, and by adding the traditional Japanese instruments, it adds some of the beauty and strength that Japan traditionally has. 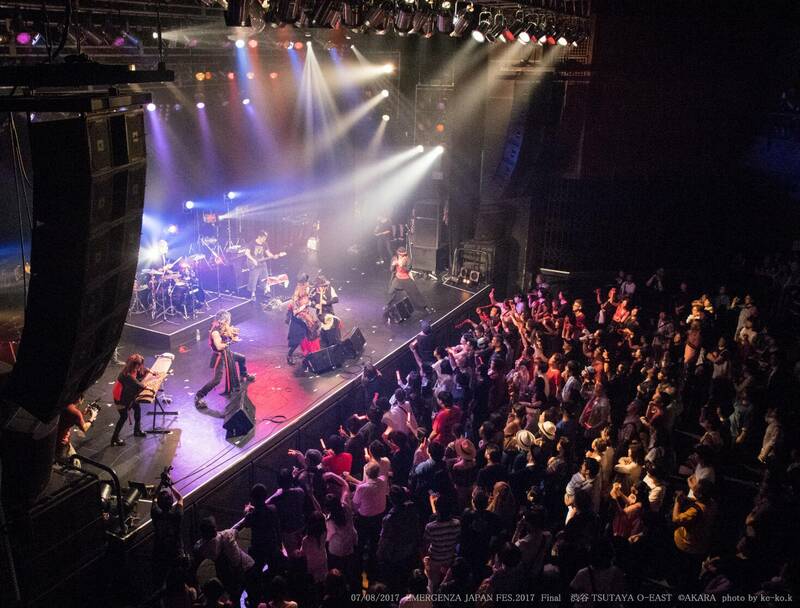 The live performance by AKARA will frequently be very powerful and intense with all members moving all over the stage. Adding to the intense performance, they also perform traditional music in between, which sets apart AKARA from other rock bands. Though AKARA is a rock band, they still do not change their traditional play style, but they are creative with how they perform on stage, which makes them more interesting. AKARA mainly performs art live houses around Tokyo, but also performs at a dedicate event at a shrine, at a dinner cruise, a pro basketball half time show, lecture concerts, and other unique locations. moreover, though AKARA is a rock band, they also do acoustic performances, and other styles so they can match the place they are performing at. In 2017, AKARA was called to Germany by the Japan Foundation, and they they ended up doing a one man performance at Japanisches Kulturinstitut Köln. 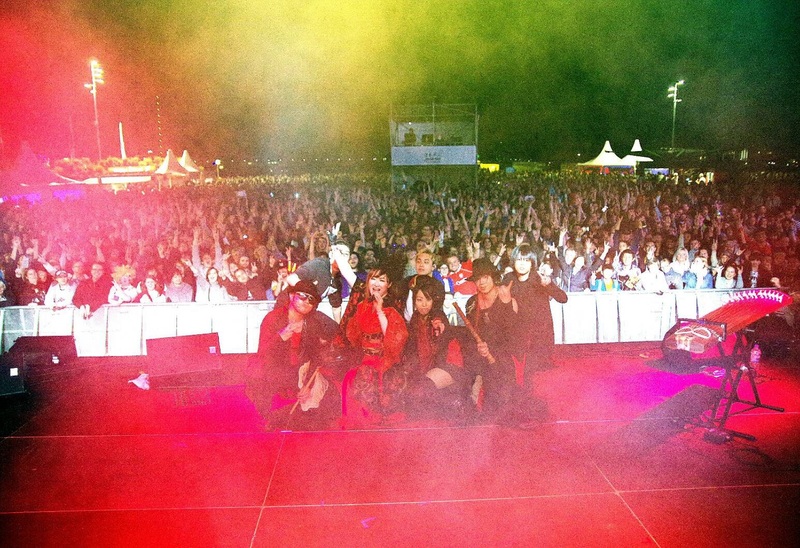 Moreover, at Düsseldorf, NRW Japanese Day, AKARA performed in front of over ten thousand people as the main act. 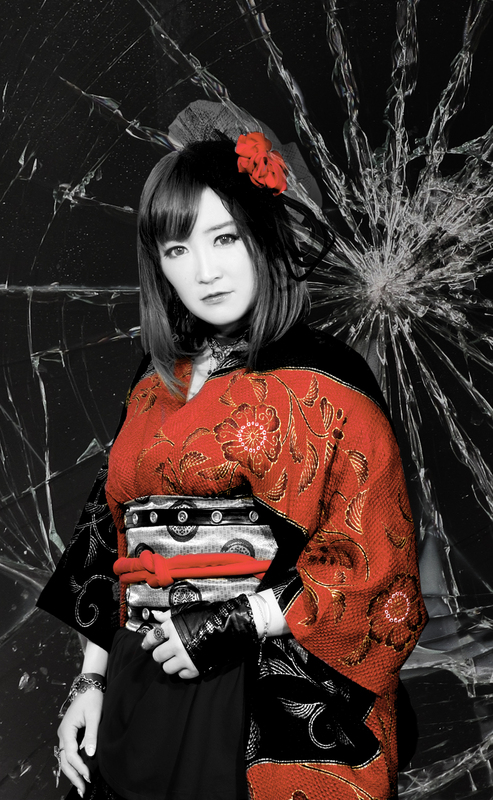 So far AKARA has released4 maxi singles: 『孤高(KOKOU)／ZIPANGU』『KOHAKU-琥珀-／Edge…』『KAGEROU-陽炎-／月の涙(Tuski no Namida)』『STORM／名も泣き花(Namonaki Hana)』, and 孤高(KOKOU) is also released as a Karaoke that you can sing at the Karaoke booths in Japan. AKARA has a official radio program called “A new discovery that starts from ‘a’” on FM Urayasu (83.6MHz) (on air from January 2015-November 2015). April 2018, the second season started at Kamakura FM (82.8MHz). Though the traditional instruments are to “play traditional music” AKARA also considers them as instruments that “live in the present” and should not only “protect traditional music” it should also create the “new generation of music.” AKARA calls their style of music: J-trad Rock, and hopes to cause a new wave to the Japanese Rock Scene, using their unique sense of music. Die Band wurde 2014 gegruendet und kombiniert mehrsprachigen Rock, Koto, Querfloete und Trommel in ihrer Musik. “AKARA” verbindet mit “Sankyoku” (Instrumentaltrio fuer japan. Musik) und “Hayashi” (Musikbegleitung in Noh, Kabuki) verschiedene Genres der japanischen Musik auf eine einzigartige, bisher nie dagewesene Weise. Die Band ist auf der Suche nach einer neuen, innovativen “japanischen Musik”, in welcher klassische japanische Instrumente in ihrer urspruenglichen Form in einem Rockkonzert gespielt werden. Diese energiegeladene Performance erlangt in musikalischen Wettbewerben grosse Anerkennung. Die Band ist derzeit dabei ihre Live-Aktivitaeten in Tokio auszudehnen. Auf dem Sender “FM Urayasu” gibt es eine Radiosendung “`A` kara hajimaru shinhakken ~ Discovery AKARA ~”! AKARA`s bekanntester Song “KOKOU” ist ab Fruehjahr 2015 als Single erhältlich! Nokan (une flûte de No), ou un Tsuzumi (tambour). plus de 10 000 spectateurs, à Düsseldorf en Allemagne. 고요함과 격함이 대치하는 유일무이의 AKARA 세계! J-trad Rock Band AKARA 프로필. 보컬, 소우(일본 아쟁), 샤쿠하치(일본 퉁소), 시노부에(일본 피리), 노칸(일본 피리), 와다이코(일본 북)로 이루어진 5인의 락밴드. 선율적이며 격한 멜로디에, 소우(일본 아쟁), 샤쿠하치(일본 퉁소) 등의 ‘곡조’와, 피리, 북 등의 ‘반주’를 융합시킨 독자적인 스타일은, 밴드 결성시부터 주목을 받았고, 여러 콩쿨에서 입상했으며, 여러 마츠리(일본 축제)에도 초빙되었다. 2015년 1st SINGLE「고독/ZIPANGU」가 오리콘・인디즈 차트 7위를 획득했으며, 지금까지 3장의 CD를 출시했다. 과거에 3번 열린 단독 라이브쇼는 모두 매진. 올해 5월에는 독일・퀘른에서 단독 라이브를, 뒤셀도르프에서 Japantag의 메인 출연자로서 관객 1만여명을 열광시켰다. 그리고 2017년 11월 24일 더 크게 진화된 AKARA가 시부야를 뒤흔든다. AKARA performed for a dedicated event at a shrine in Kyoto called Kamo Betsuraijinja which is listed on the UNESCO World Heritage list. AKARA performed at charity event using Taiko Drums for the Kumamoto earth quake. The location was at a plaza in front of Saitama Super Arena. AKARA Performed at a hot spring in Niigata called Echigo Muikamachi Onsen. The performance was a summer break event, where AKARA talked about the traditional instruments, explained how to play, and also told ghost stories using the traditional instruments to play scary sounds. After that, they also explained about the future possibilities of the Japanese traditional instruments, and also performed a few more songs. AKARA performed at Chofu City Cultural Center Tazukuri Murasaki Hall (Tokyo), as a concert event that the audience can experience playing traditional instruments. The name of the concert was called “The sound of Wa that starts from ‘a’” Through this performance, the audience were able to experience professional level of the traditional instruments, and were also able to play the instruments. The event was held twice, one at noon, and one at night. Later, this event was published on the Chofu City Culture News paper called “Pallet” (Vol. 194). AKARA had a unique experience to become the visiting lecturer for Iitate Mura, Fukushima, to talk about Radiation Health Management, Health Anxiety Measures Business. Every month AKARA visited this place and had a chance to lecture and also perform. AKARA held a charity concert at Minami Souma Culture Center “Yume Hat” Fukushima. A multi-lingual singer who speaks mainly Japanese and English, but also Chinese and Korean. She graduated from UCLA which is one of the top ranking universities in the US. During her time at the university, she discovered her desire to introduce the Japanese culture, Japanese songs, and Japanese traditional instruments to the world, inch after she returned to Japan, she started her career as a musician using traditional instruments. She wanted to strengthen her Image as a “Japanese Singer” and chose to wear Traditional Japanese clothes when performing. The audience love her style of using the language the audience is a familiar with. She is also a Visiting Lecturer for the project by the Ministry of the Environment, and goes to mainly Fukushima, and other places in Japan to lecture and perform. She also one the 1st Tenka Ichi Music Festival Tokyo, and performed at ZEPP Tokyo, and had the most votes by the audience. She also performed at the game of a pro basketball team “Tokyo Cinq Rêves” She appeared on the NHK-FM as AKARA, and also appeared on other radio stations like FM Kamakura, Totsuka, Yamato, Radio Shonan, Fukushima Koko Raji and others. On a music show of TV Saitama, AKARA’s 1st single 『琥珀』(KOHAKU) was played many times. 『琥珀』(KOHAKU) was also used as a theme song of a flash Anime『三国志女傑伝』(Romance of the Three Kingdoms heroine story), and 『名もなき花』(Namonaki Hana) was used as the sound track. At Harajuku ASTRO VIJON, the newest single 『孤高』(KOKOU) was on air for 1 month. Born in Kumamotto, she started to learn the “Ikuta” style of playing Koto, and at 13 she started to lean the Shamisen from Hiroko Kamisakota, and Katsuhiko Yoshizaki’s parents. She later won the 2nd Traditional Music Junior Contest, and also won the gold medal three years in a row for the Kumamoto High School Instrumental Music Contest. In 2007, she received the “Kumamoto High School Student Cultural Achievement” Award. 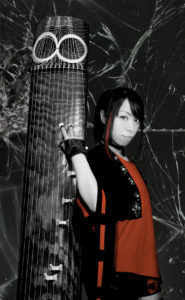 In 2008, she learned Koto from Kiyomi Ishigaki, Shamisen From Akiko Nishikata and Yoko Tamaki, at the Senzoku Gakuen College of Music. In 2012, she graduated as top of the class, and also received the “Outstanding Performance” Award. During seminary, she had a recital where she performed as a soloist playing a price composed by Yukiko Ishii. At the 9th Tokyo Traditional Music Contest, she received many more awards. In 2014, she graduated top of the class from the seminary of Senzoku Gakuen College of Music. She also performed in a Rugby World Cup 2019 Promotion Video. So far she has perfomed for many Enka singers like Sayuri Ishikawa, Kiyosi Hikawa, Midori Oka. She also plays in many different stages, like a musical, records with modern artists, performs on TV, Schools, and many other places. Same as MIKIKO, she also is the visiting lecturer for to talk about Radiation Health Management, Health Anxiety Measures Business. She also is the teacher of the Kami Oooka Koto School. Graduated the Traditional music, Music Department of Tokyo University of Arts. 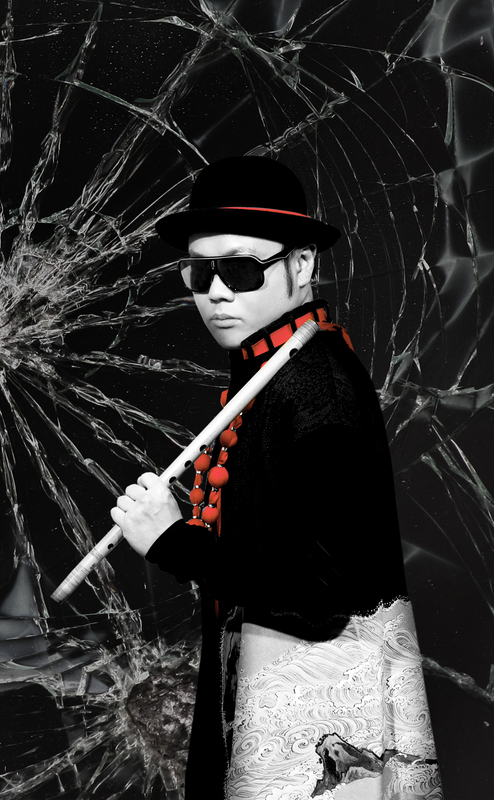 After Graduating, he performs in many platforms as the Japanese music accompaniment flute, like a traditional instrument concert, a traditional dance event, performance over seas, Ustream, and also provides his songs to the TV and Radio. He also participates in many Educational Activities. At a event held by the Agency for Cultural Affairs for children, Taka talked about his job and its attractive points. 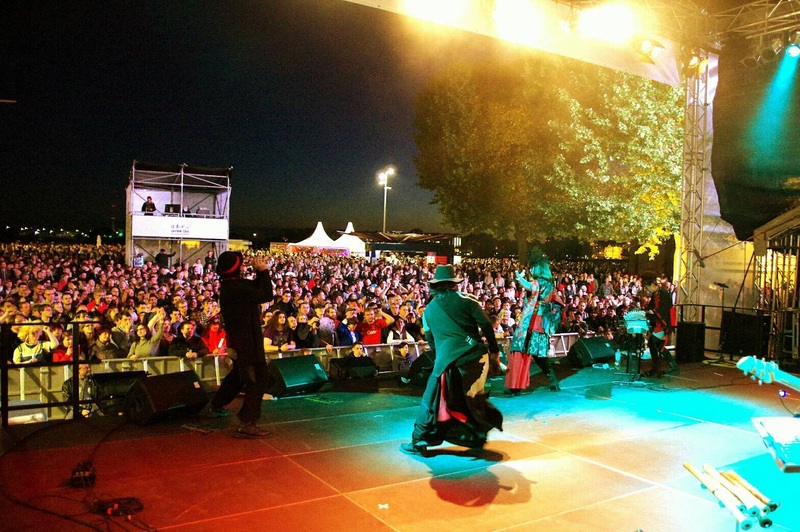 In 2013, He went to Europe (mainly France and Italy) to perform, and at the JAPAN EXPO at Paris, he performed for a crow of thirty thousand people. TAKA still is a a global artist. The same year, he had a chance to perform with Yosuke Tagawa (actor) and Tsutomu Isobe (radio actor). In 2016 and 2017, he performed with a drummer named Shinya, who is the drummer for LUNA SEA, a famous rock band. In 2017, he received the “Nakajima Katsusuke” Award. Currently his song 夏疾風 (Natsu Hayate) is on iTunes. From when YUU was young his father Saburo Mochizuki and Hokusei Mochizuki (the 4th) taught him Nagauta Hayashi. In 1991, he became a member of the “Hatoyama Koin” which his Father was Leading. 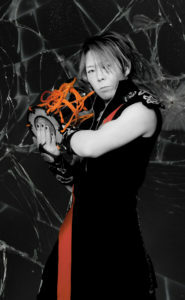 In 1998, he became the regular member of the Ooedo Sukeroku Taiko, and started to perform globally, and also performed with other genres of music. In 2009, he chose to become independent from the Ooedo Sukeroku Taiko, and started to perform solo. As he performed solo, he also started to make many small groups with different genres to seek a new style of Taiko Drums. He has provided songs, and also came up with his own style of Taiko Drums, which he teaches at schools. In 2013, as his own life work, he started a Taiko project called “Indra” where he made a whole new style of Taiko Drums, and is now teaching younger people. In 2014, he was given the Mochizuki Kewataka, which is a huge honor in the traditional Japanese Music World. He now is a teacher at the Miyamoto Traditional Music School.